A 6/8oz. U.S.D.A. 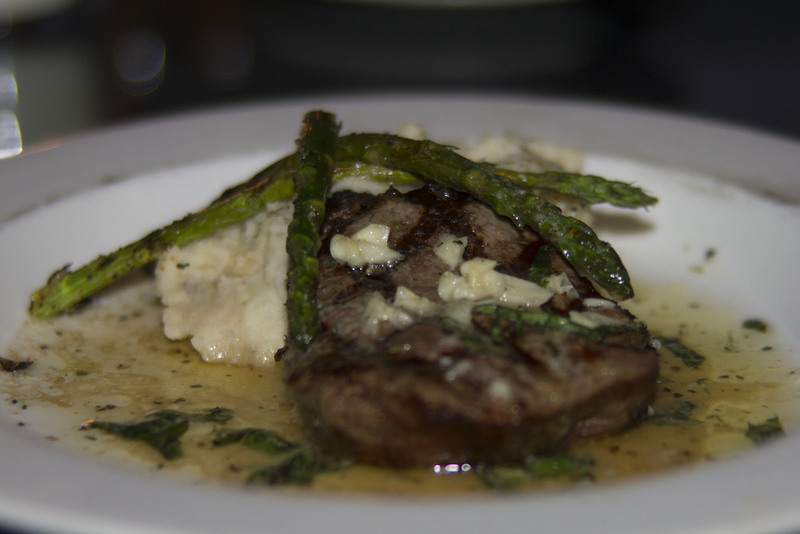 Choice Beef Tenderloin Sautéed in garlic, fresh oregano, basil, butter, & spices. A 6/8oz. U.S.D.A. Choice beef tenderloin seasoned with BB's Special Seasoning cooked to your temperature of choice & topped with our pureed sauce of mushrooms, onions, garlic, butter & cream. A 6/8oz Tenderloin grilled to your liking. Served with potatoes. A 12/16oz New York strip, "Done Our Way," topped with mushrooms, spinach & cream sauce. Frank would be proud. 8oz. of pork tenderloin sautéed in our DeBurgo seasoning with garlic butter & cream. 8oz. of chicken sautéed in our DeBurgo seasoning with garlic butter & cream. Chicken breast lightly seasoned & topped with a slice of capicola, sautéed spinach & asiago cheese, baked to perfection with a dijon mustard cream sauce. Chicken breast topped with Swiss cheese, Canadian bacon and buttermilk cream sauce. Chicken breast stuffed with Grazianos sausage, asiago cheese & a little red pepper topped with alfredo served over potatoes. *Thoroughly cooking foods of animal origin such as beef, eggs, lamb, pork, poultry or shellfish reduces the risk of foodborne illness. Individuals with certain health conditions may be at higher risk if these foods are consumed raw or undercooked. Consult your physician or public health official for further instructions.